Siembra Azul Tequila is produced in the Highlands from the finest Blue Agave, grown by masters of the trade in small orchards that have been owned and operated by the Vivanco family for more than three generations. 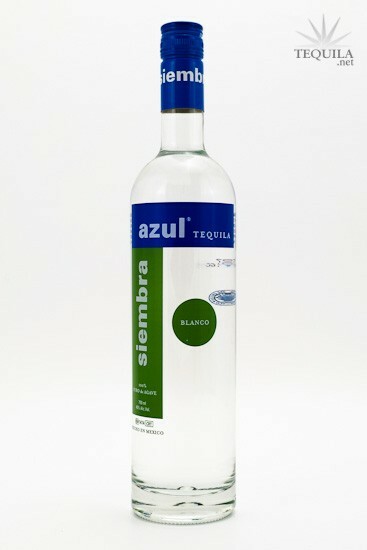 Siembra Azul Blanco is a pristine, young, double distilled spirit of upright virtue. Aroma: Even 3 feet away from your nose, you can smell the ripe fruits in the cooked agave of this blanco. The agave sweetness is strong and really inviting. Initial Taste: Cooked agave...and it's a bold flavor. The ripe fruits and agave crispness are there as well. A very nice start. Body: Nice oils and a silky mouth feel. The agave sweetness remains and the peppery kick comes into play for a nice combo. Finish: That peppery linger combines with the green notes for a long and memorable linger. Flat out, this is a very nice blanco. At the price, you can mix this for a hell of a cocktail, but the flavors will make you want to sip this one slowly as well. Over time, I've become a fan of the wine bottle and especially the screw caps for the purposes of preservation. Maybe it doesn't have that "authentic" look, but it will stay tastier for a longer time. I definitely recommend this blanco...and it makes me want to revisit my review of the repo from 2 years ago. A nose of cinnamon and mint with a hint of grass and an underlying sweetness. This has a very smooth entry, and continued cinnamon and mint - sort of like a red hot candy. There's more sweetness coming through, but also a bit of pepper spice. It has a nice weight in the body, but not particulary oily or leaving a heavy coating, and a very slight alcohol tingle. A very pleasant finish with a quick burn in the back, and then a medium continuation down the throat that leaves a cinnamon lingering which is present throughout. A good tasting experience all the way around. It won't blow you away, but it is a solid product. I would say it is fairly priced in the low 30s. It is a very practical bottle with a screw top; nothing fancy, but it tells me they were more concerned about the juice than the bottle, which I can appreciate. The founder of Siembra Azul is David Suro-Pinera, a Philadelphia restauranteur, but maybe more importantly, president of the Tequila Interchange Project (TIP). TIP advocates the preservation of sustainable, traditional, and quality practices in the tequila industry amid concerning trends currently becoming mainstays in the industry. Through their efforts and increased consumer education, they hope to see continued growth in the industry, but also a renewed emphasis on the importance of preserving tequila’s great heritage. Tasted on 6/24/08 out of snifter. Siembra Azul Blanco is a very good tasting tequila. It's definitely a tequila worth buying again. Aroma: Very agave, with hints of cream and floral. Initial Taste: An oily mouth feel, it was really sweet and creamy. Body: Lots of Agave, floral, and pepper. Finish: Of long duration, a heated, creamy finish with no alcohol burn. 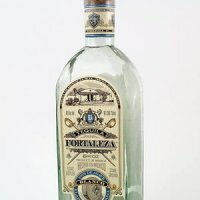 I discovered this Tequila threw the recommendation of a friend, needless to say It was a hit with my taste buds and I am on my third bottle. Seems to evaporate oh so too quickly. ;) To my knowledge this Tequila is the brain child of David Suro vowner of Los Catrines Restaurant and Tequila Bar in Philadelphia. Its made at Feliciano Vivanco y Asociados (1414) but its my understanding that they are just renting the facility and the Simbra Azul Team create the product from start to finish. The whole concept of this tequila appeals to my very sole. Quality product in a simple effective package, and thats exactly what it is. The nose is macho agave, slightly floral and sweet, with the mineral element in there as well(rock). The taste follows threw from the nose and I get a bit of floral again and lots of agave punch. Some pleasant pepper, not so much heat though. The finish lingers, but not too long and clean. It ranges in price in the low 30's, a tad high for a blanco, but in my mind well worth the money and one of my favorite Blancos i will continue to stock in my home bar.